It’s been a few months, but welcome to the new-and-(hopefully) improved Medical-Science Moments! I plan to post this bi-weekly (also note the new name). This edition has some good news about exercise, use of social media to monitor drug adverse effects, questions about credibility of early trial results, and some quick bits from CRISPR to obesity. Oh, and I almost forgot: a potential device that can enhance memory! Please enjoy and, as always, I welcome any feedback or suggestions of items to consider for the next issue. Do you have trouble fitting in the recommended 30 minutes of moderate-to-vigorous physical activity five or more days a week? Well, how about 10 three-minute bouts, five six-minute bouts, or some other combination that totals 30 minutes? Short bouts seem to be easier for many people, and here’s some recent good news: the benefits in reducing all-cause mortality appear to be the same. A recent analysis of data on physical activity and deaths over 6.6 years from the National Health and Nutrition Examination Survey (which is representative of the U.S. population) showed that, while the risk for death significantly decreased with greater amounts of daily physical activity, there was no difference if it was done in “one shot” during the day or split up into 5- or 10-minute bouts. So hey – got a few minutes? NPR had an interesting piece on how social media is helping identify rare or otherwise overlooked drug side effects. In one example, researchers developed an algorithm to mine millions of posts on the patient support site, Inspire, and identified a previously unrecognized side effect of the drug Tarceva: an inability to sweat (hypohidrosis). Such support sites also could be used to help verify drug effectiveness, providing data much more quickly than from insurance claims and health records, which typically have significant lag times. However, privacy and other issues pose challenges, particularly with larger networks such as Twitter and Facebook (really? Nah!). For the first time, scientists have shown a proof-of-concept system improves memory by writing electronic codes to the brain hippocampus based on a patient’s own neural codes that appear during memory recall tasks. Using this “brain hacking” approach in epilepsy patients – since they already had implanted electrodes to control their seizures – the researchers reported improving short- and longer-term memory by about 35 percent above baseline on standard tests. In addition…uh, sorry, forgot what I was going to write. In Greek mythology, the sea god Proteus knew all things past, present and future, but would only divulge them to those who captured and held him, even as he tried to escape by rapidly changing forms, e.g., a lion, a serpent or water. Scientists coined the term “Proteus effect” to describe how initial, rapidly completed studies often report more extreme, divergent and contradictory results – and recommended greater skepticism of their results, exciting though they may be. Recently, Mayo Clinic researchers measured the Proteus effect in 70 meta-analyses of 930 randomized controlled trials of a drug or device for treating a chronic medical condition. They found it in 37 percent of the meta-analyses, and showed the average effect size of the early trials was about 2.7 times larger than the overall pooled effect size – ironically, a large and highly significant difference! The researchers concluded: “Considering the increasing morbidity and mortality of chronic medical conditions, decision makers should act on early evidence with caution.” That advice was echoed in an accompanying editorial. Somewhat related, JAMA had a recent opinion article recommending changing the p-value threshold for statistical significance from 0.05 to 0.005 (which a number of statistical experts have recommended over the years). 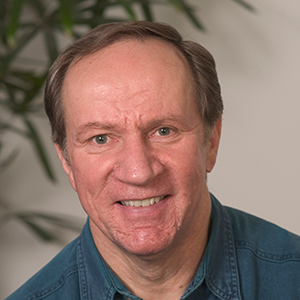 If adopted, that change would have a major impact on how results would be interpreted; many findings previously described as “significant” would become “non-significant” or just “suggestive.” Coincidentally, the article was written by the same expert who coined the “Proteus Effect,” Dr. John Ioannidis.